This post is sponsored by Three Dog Bakery. All comments and opinions are my own. I have great news for everyone with four-legged fur babies! 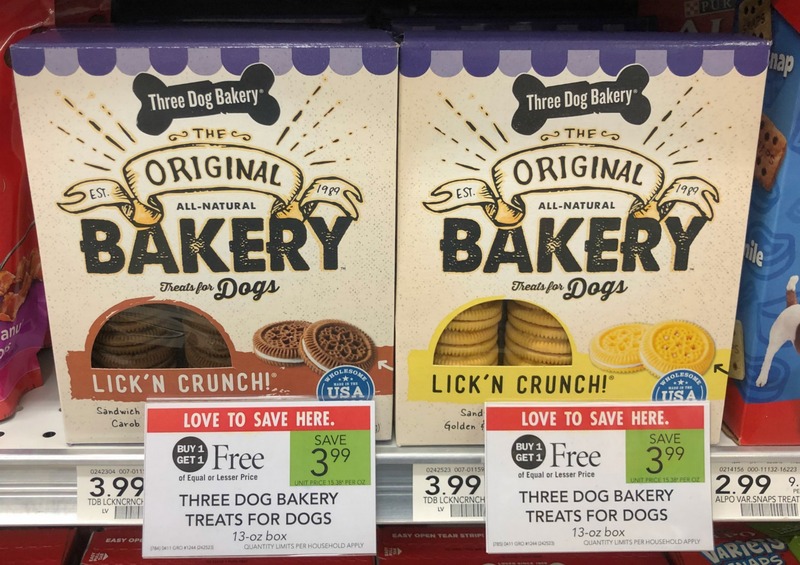 Look for both flavors of Three Dog Bakery Lick’n Crunch Treats on sale right now at Publix. The boxes are buy one, get one FREE now through 4/24, so you have plenty of time to stock up. These are the fave at my house…my pups love the taste and I like the fact that they are all-natural. With three dogs at my house, treats are a necessity. 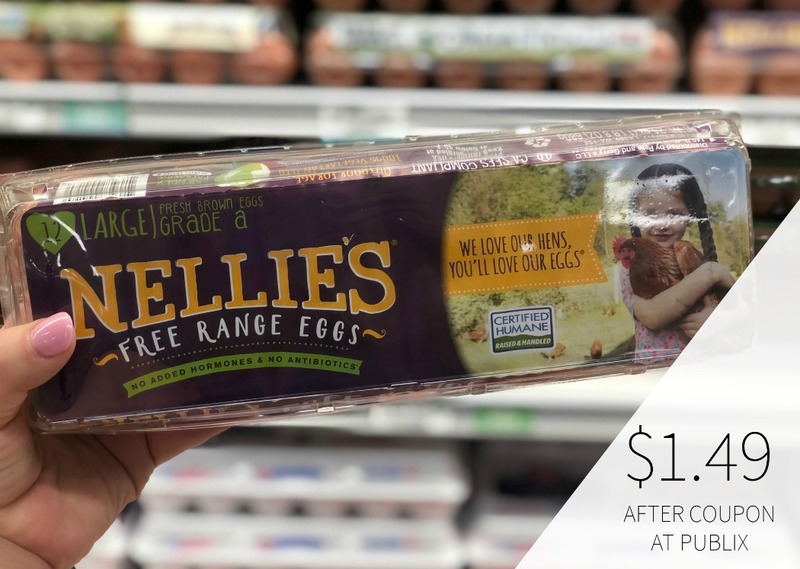 I use them to reward my dogs AND get them where they need to be. In my world, getting three dogs to cooperate often requires a little extra motivation. So when the UPS guy or pest guy shows up at the door, I can pull out a few Lick’n Crunch Treats and my pups will go to their room quickly and with no complaints. All I have to do is open their “cookie jar” and will follow me wherever I go. With a treat in my hand, they are the best behaved pups ever—tee hee! We have tried a ton of different treats and I prefer these for my big babies. They actually smell good…like fresh baked treats. That’s because Three Dog Bakery Treats are made in the USA with premium quality, wholesome ingredients that you can trust. They are made from natural ingredients and contain no artificial flavors, colors, or preservatives. The treat size is great for dogs of any size or breed. I have a small Frenchie, a medium sized mutt and a big Boxer. The Lick’n Crunch treats are the perfect size for all of them. They all gobble up those treats without leaving a single crumb. 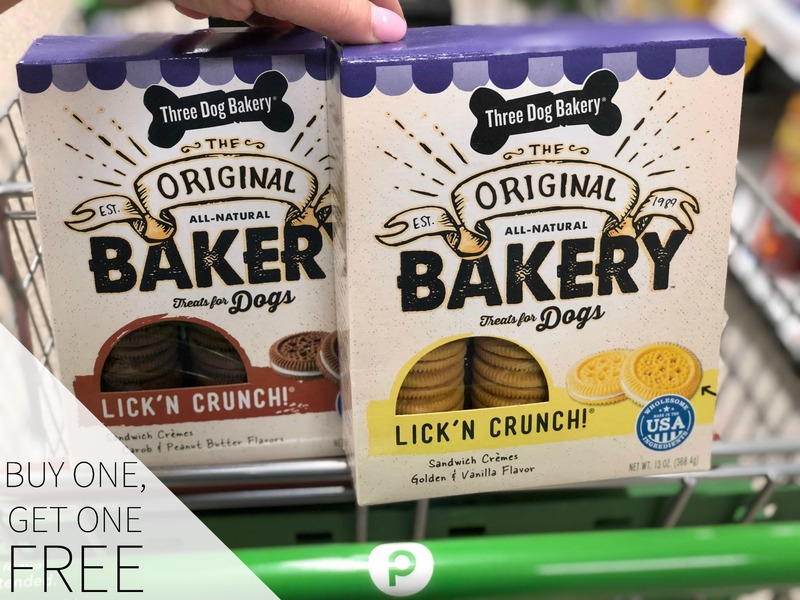 Be sure to stop by Publix and look for two flavors: Carob & Peanut Butter or Golden Sandwich Cookies with Vanilla Flavor Filling. Get your pups favorite or grab one of each. I like to keep our “cookie jar” filled with both just to give them a little variety. Remember you have until 4/24 to take advantage of the BOGO sale.